The Gambia Football Federation will on Friday March 31st embark on a nationwide tour reaching out to seven Regional Football Associations to assess the impact of the FIFA Live Your Goals Girls festival. 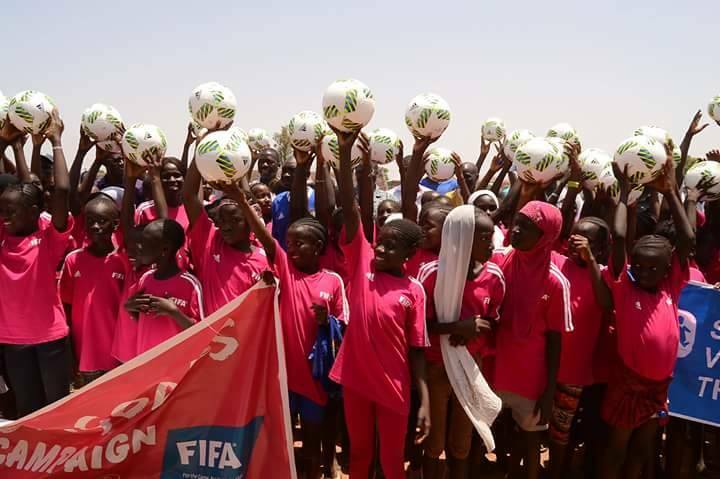 The Live Your Goals is a Four year FIFA legacy program meant to encourage the participation of girls and women and to keep them in the game. The project in the Gambia started in 2014 and the GFF thus conducted four editions since its inception. Two of the first programs were held in the Greater Kombo while Farafenni ( NBR) and Soma ( LRR ) hosted the third and forth editions respectively. Also as part of the tour agenda, the GFF will meet with the Regional FAs for the implementation of the Women’s Football league across the Regions. These actions have come to the fore at the backdrop of the GFF mid term review meeting conducted for the first time in Gambian football history to review the gains of the football leadership under the current four year mandate with a view to looking ahead and aligning its programs with the current realities of football. The countryside tour will avail the GFF opportunity to acquire first hand knowledge of Women’s League structure, challenges and format in the regions. The tour party is led by GFF Technical Director Ebrima Manneh and also includes Women’s Football Coordinator Sainey Sissohore, Grassroots Manager Ebrima Nyassi, President Women’s Football Association Dessamba Mbenga, Chairperson Women’s Football Committee and ExCO member Sainabou Cham and Bakary B Baldeh Media Officer.